Last week the new version of SharePoint 2013 was released on MSDN. As a real SharePoint enthusiasts I directly downloaded the version. Information about this version can be read here. 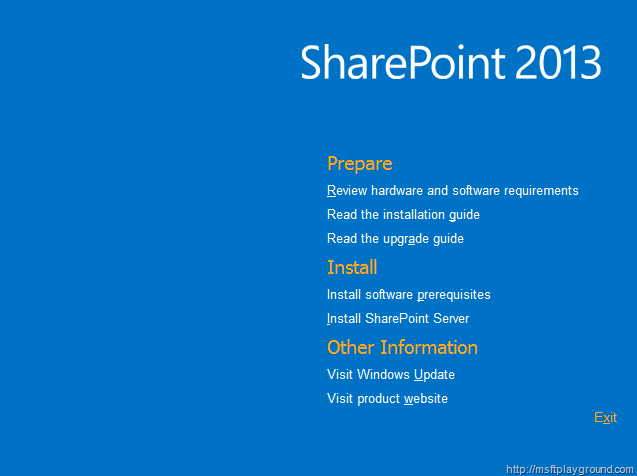 This new version of SharePoint called SharePoint 2013 has a new Installation screen, to give more power to the new Interface. Every interesting thing I will discover will be posted on this blog, so stay tuned!